The FIDE Women’s World Championship 2018, currently in progress from the 3 to 25 November in Khanty Mansiysk, Russia, is the last event in women’s chess where the World Champion would be decided in a knock-out format. The 64-player knock out event is known for its volatile nature as strong players often have to exit in the first round itself. A small error and you are sent back home packing. It’s only if you navigate your way through the six mini-matches without an accident that you can get the title of the Women’s World Champion. Out of the 64 players, four players are from India – top two women players Koneru Humpy and Harika Dronavalli from Andhra Pradesh, the current national champion Padmini Rout from Odisha and 2016 Asian Champion WGM Bhakti Kulkarni from Goa. 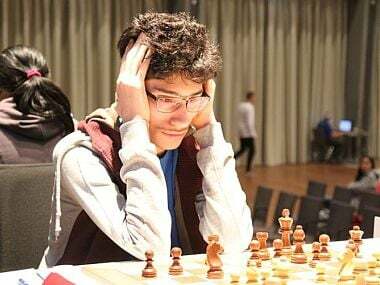 Humpy, being the second seed in the event, faced a relatively easy opponent in the form of Hayat Toubal from Algeria, who was ranked nearly 700 Elo points below her. Humpy blanked her with a score of 2-0. For Humpy the real challenge begins from the second round when she faces one of the best Polish woman players Jolanta Zawadzka (2407). Jolanta is known for her aggressive and fearless play. Although Humpy is clearly stronger on paper than her opponent, what she lacks is match practice. Humpy had taken a break from chess for nearly two years during which her daughter Ahana was born. With a renewed vigour she is back on the chess board, and played pretty well at the Batumi Chess Olympiad which got over just a month ago. But even at the Olympiad we could clearly see some rustiness in Humpy’s game. If that continues in the current World Championship, her chances of advancing to the next round look pretty dim. For Harika, the knock-out format works very well. She is extremely solid and likes to play safe in classical games. At the same time short format chess is her forte. Hence, her strategy usually is to draw her classical games and move to the tiebreaks. In the first round she faced a pretty decent opponent in Sopiko Khukhashvili (2316) from Georgia. The first classical game ended in a draw, but in the second one Harika was clearly better. It seemed as if Harika would finish of the match in the classical format, when she went wrong in a big way and the game ended in a draw. In the rapid section Harika didn’t seem her usual confident self. She made quite some errors and at one point she was just a couple of moves from being knocked out. She made a huge blunder and all that Sopiko had to do was push her a-pawn towards becoming a queen. There was nothing that Harika could have done. But instead Sopiko returned the favour, blundered and lost the game. Thus, Harika managed to advance to the second round where she will face a very strong opponent in the form of top Georgian player Bela Khotenashvili. Padmini Rout and Bhakti Kulkarni were the other two Indians in the fray. 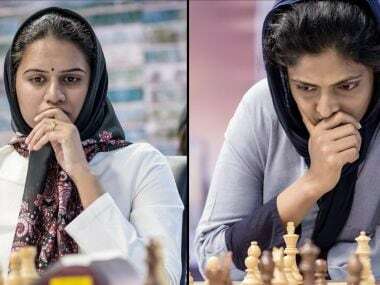 In 2017 edition of the World Championship, Padmini had shown some phenomenal results by beating top Armenian player Elina Danielian in round one and Chinese Zhao Xue in round two. It was only in the third round that she bowed down to the eventual champion Tan Zhongyi. A lot was expected from Padmini in the 2018 edition, but her opponent was an extremely strong player. Zhansaya Abdumalik is Kazakh number two. Being just 18 years old, Zhansaya has still not stabilized at her level of rating (2473) and is improving with every tournament. At a rating of 2351, Padmini is clearly under-rated but Abdumalik was the favourite in the match. 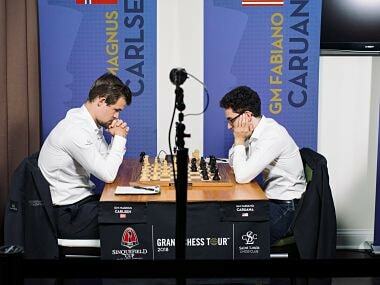 In both games of the classical time control, the youngsters fought tooth and nail right until the very end, but were unable to make any headway. The match moved into the tiebreak format. In the first game Padmini had her chances, but she didn’t play accurately. In the second game Zhansaya used her active queen to clean up Padmini’s pawns one after another and before you even knew it, Padmini had been knocked out. It was a big blow to India. But that’s just the nature of this format. One mistake and it’s all over. Bhakti Kulkarni, Goa’s first WGM, was playing the World Championship for the first time in her chess career. She was playing the experienced Natalija Pogonina from Russia in the first round. While Pogonina is a former Women’s World Championship runner-up, Bhakti was feeling the heat of the new environment. The -6 degree Celsius climate at Khanty Mansiysk wasn’t a big help. When Bhakti went wrong in the first game Pogonina didn’t have to be asked twice. She latched on to the opportunity and scored the first win in the first game of the classical time control. In the second game Bhakti had the white pieces and tried every trick in her book to get an attack, to imbalance something so that she could try and play for a win. But Pogonina proved to be a very experienced campaigner. She sucked up all of Bhakti’s active possibilities and the game ended in a draw. Bhakti thus lost the match 1.5-0.5. After the first round we have two Indians who have advanced to the next stage, while two Indians have been eliminated. Newly elected FIDE President Arkadij Dvorkovich has made a public announcement that things will improve in women’s chess and the World Champion will no longer be decided by such a knock-out tournament in future. Hence, the defending World Champion Ju Wenjun gets a direct spot at the Candidates tournament that will be held next year in 2019. The three semi-finalists from this event will also get a direct seeding into the Candidates. This is FIDE’s attempt to bring the women’s World Championship cycle closer to the men’s World Championship cycle. While, this is much more fair, the fact remains that a new World Champion will be crowned in less than 20 days from now. As an Indian fan we can only hope that it would be either Humpy or Harika!